OUR FAMILY, WELCOMES YOUR FAMILY! Welcome to Monrovia Family Dentistry! serving Monrovia & surrounding cities. We believe in providing gentle, caring, and compassionate dental care to all of our patients, young and old. We feel that our patients deserve an easy and affordable way to take care of their dental needs, and strive to maintain a fun, lighthearted atmosphere at our practice. 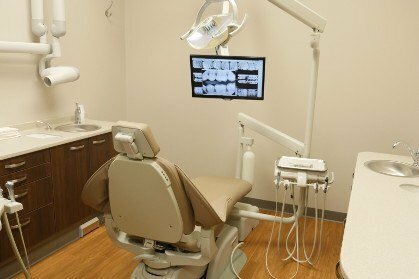 If you are a person who also believes it’s important to have a long-term, trusting relationship with your dentist, and want to be treated by a doctor who uses the latest dental techniques and technologies, we are the dental practice for you, your family, and friends. We serve dental patients from all over southwest Indianapolis and surrounding areas. Patients come from cities such as Plainfield, Mooresville, Danville, to be treated by our highly trained and experienced staff. You probably also want to see a dentist who will look after your pocket book, especially when dealing with dental insurance. We make every attempt to maximize your dental insurance benefits, leaving you as little out of pocket as possible. Call (317) 996-3391 for details! We have an in-house dental plan, which is perfect for those who do not currently have dental insurance. Joining the dental plan is a very affordable way to get sizable discounts on dental services. With our dental plan, there is no red tape, no waiting periods, no maximums…it’s completely transparent and easy to understand. We understand that while most of our patients prefer to be scheduled routinely, others may not. We respect our patients, and their decisions with regards to their dental care. However, taking a proactive approach to dental care can generally help avoid future dental problems and help save you some money in the long term. 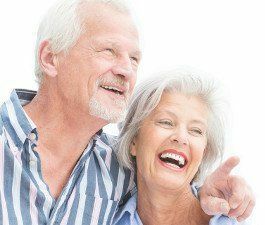 Whether you are 2 years old or 102 years old, Monrovia Family Dentistry is well suited to take care of your dental care needs, and give you the affordable smile that you desire. 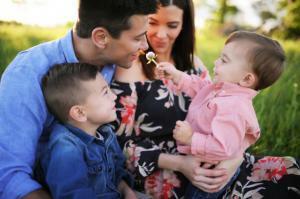 Choosing a dentist for you and your family is an extremely important decision, a decision we do not take lightly. We are completely humbled and appreciative when a new patient chooses our practice, and look forward to meeting you! Looking for to establish yourself as a new patient and get your teeth cleaned? Or, you have an emergency situation and need to be seen immediately? We can help! Please call (317) 996-3391 or email us at monroviafamilydentistry@gmail.com! Born in a small town outside of Indianapolis, Dr. Mark Sanford, DDS and staff provide comprehensive general dentistry, cosmetic dentistry and orthodontics to patients of all ages. A graduate of Indiana University School of Dentistry, Dr. Sanford takes great pride in his Indiana heritage, and enjoys working with fellow Hoosiers. Monrovia Family Dentistry is located in the heart of Monrovia, Indiana on SR 42 at 253 W Main St, Monrovia, IN 46157. We are next to the Subway restaurant and conveniently just a few miles south of exit #59 off I-70. Passionate about dentistry, Dr. Sanford is an avid member of many leading professional dental organizations, and is committed to staying up to date with the latest trends in dentistry. Such organizations include American Dental Association (ADA), American Association of Orthodontists (AAO), Indiana Dental Association (IDA), Indiana District Dental Society (IDDS), and Indiana Association of Orthodontists (IAO). We are also fully accredited members of the Better Business Bureau meeting their accreditation standards with an A+ rating. As a family dental practice, we are able to keep our patients teeth and gums healthy by scheduling regular, preventative visits, as well as handle a wide variety dental related issues to get our patients oral health fully restored. Our goal during every patient interaction is to keep your mouth healthy and you happy! There are several possible issues that can cause discomfort or dissatisfaction with a tooth. Our state-of-the-art dental x-ray technology will allow us to make a well-informed, evidence based diagnosis, inhibiting over treatment. Once our diagnosis is made, we share these results and information with the patient, so that he/she understands not only what dental treatment is recommended, but also why we are recommending those dental services. Sometimes a tooth can be restored to it’s near-optimal form by removing the decay and placing a tooth colored filling, essentially rebuilding the tooth. If too much of the tooth structure is gone by decay and/or trauma, it may need to have a dental crown and root canal. In addition and in some instances, new decay can develop around an old, metal or composite fillings. We are able to remove the decay, and replace those old fillings with tooth colored ones, which can be much more aesthetically pleasing. If the tooth can’t be salvaged and restored, or the patient elects to have it removed, an extraction would be necessary. Please keep in mind that once a tooth is removed, it’s best to replace that missing tooth with a dental implant, dental bridge, or partial/full denture. By replacing the tooth, you prevent the other teeth from drifting into the open space which can cause numerous other dental issues. If there are certain aspects of your smile that you are not happy with, we can help! Cosmetic dental services such as dental veneers, teeth whitening, and dental bonding can dramatically enhance one’s smile, and give that patient a “Hollywood” style smile. Even orthodontics can have a dramatic, positive effect on a person’s smile by making the teeth straighter and more aligned. We understand that some people haven’t been to the dentist in a long time. We promise we won’t judge you. Life happens. If it’s been a long time since you’ve seen a dentist, chances are that you may have gums issues that are more involved than just a regular cleaning. If this is the case, you may need certain periodontal services which we will inform you of and gladly provide. Healthy gums are a critical foundation for healthy teeth and happy smile. We all know that friend or family member who covers their mouth when they laugh, mostly due to the lack of confidence with his/her smile. There is hope, and we can help. Using the latest restorative or cosmetic dental services, Dr. Sanford can help you achieve your ideal smile, which can have a positive impact on your self-confidence, self-esteem, and overall well-being. Watch Our Welcome Video Below!